Supported Resolution up to 1920x1080p @60Hz;User must connect the USB cable to supply power for the HDMI connector. And the USB power adapter must be 5V 1A or greater. (If no power, it will not work). Support DLNA, Miracast, Airplay protocol,NOT SUPPORT Netflix , Amazon Video , DIRECTV, hulu , crunchyroll or other Paid videos in the APP. No need install any driver/App to make it work. 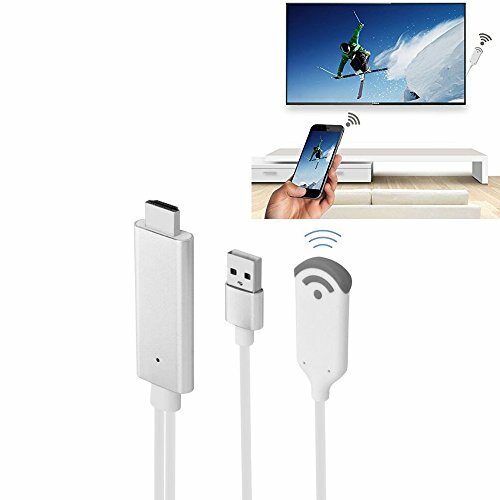 Just need 3 steps to enjoy media on large screen: Plug->Connect->Mirroring by using Miracast, DLAN and Airplay mode. If you have any questions about this product by Jasontech, contact us by completing and submitting the form below. If you are looking for a specif part number, please include it with your message.